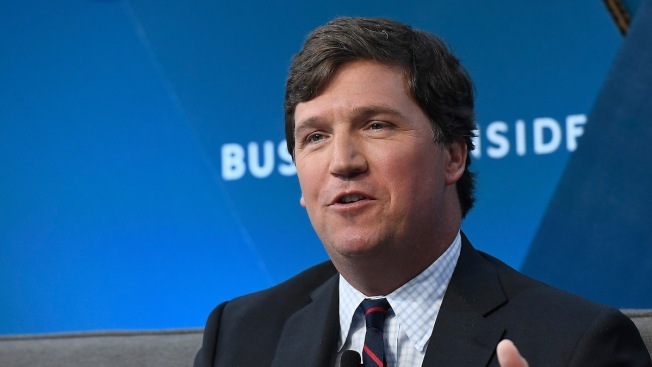 In this file photo, Tucker Carlson speaks onstage at IGNITION: Future of Media at Time Warner Center on November 29, 2017 in New York City. Several advertisers have over the past two days said they will stop running ads on Fox News shows hosted separately by Jeanine Pirro and by Tucker Carlson, NBC News reports. Each of the Fox News anchors has attracted controversy after making inflammatory statements. The advertisers were acting in response to Pirro saying on her March 9 show that Muslim Rep. Ilhan Omar, D-Minn., is "Sharia-compliant" because she wears a traditional hijab head covering.